There is a list of 12 Monuments of National Importance (ASI) as officially recognized by and available through the website of the Archaeological Survey of India in the Indian state Haryana. The monument identifier is a combination of the abbreviation of the subdivision of the list (state, ASI circle) and the numbering as published on the website of the ASI. 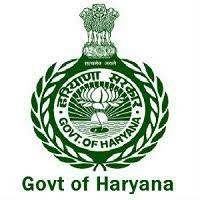 90 Monuments of National Importance have been recognized by the ASI in Haryana. According to legend, during the Maha Raas, when Krishna disappeared, the gopis of Braj came to this place in his search.This van is an integral part of the famous Braj chaurasi kos yatra, which camps in this forest. According to the local tradition once mother Yashoda, with her servants, came to this forest in search of her son Krishna, who was performing raas with gopis . He had not reached home in time that is why mother was in anxiety. Fearing her anger Krishna immediately jumped into the nearby kund and appeared as Hanuman. Mother was happy to have darshans of Hanuman. She worshipped him and went back. Since then the kund is known as Anjani Kund, which is another name of Hanuman. Every Tuesday and Saturday a huge crowd of Hanuman devotees collect here at the adjoining ancient temple of Lord Hanuman. In Hodal city, there is a temple and a pond named Sati. Every year in the month of January, there is a Mela organised and womenfolk pray Devi Sati and men take part in wrestling and other rural sports. Dabchick is a welcoming retreat set in a serene environment. It is a Unique resort where once can opt to stay either in a decent room or an independent hut. The restaurant, bar, fast food joint, gift shop and a multi-purpose hall make it a complete holiday destination. Chameli Forest is a sacred place here, where there is a temple dedicated to Lord Hanuman. Especially on Tuesdays, bigger than the surrounding area Number of pilgrims come in. Devotees bring huge quantities of bananas to the monkeys who live in the temple. Also this temple of Bird Watching. There is also a great place for you. A large number of migratory birds come from far-off places. This is a temple named after Pandavas. As per the legend, Pandavas did spend their days of exile at this place. Later a temple was constructed here.